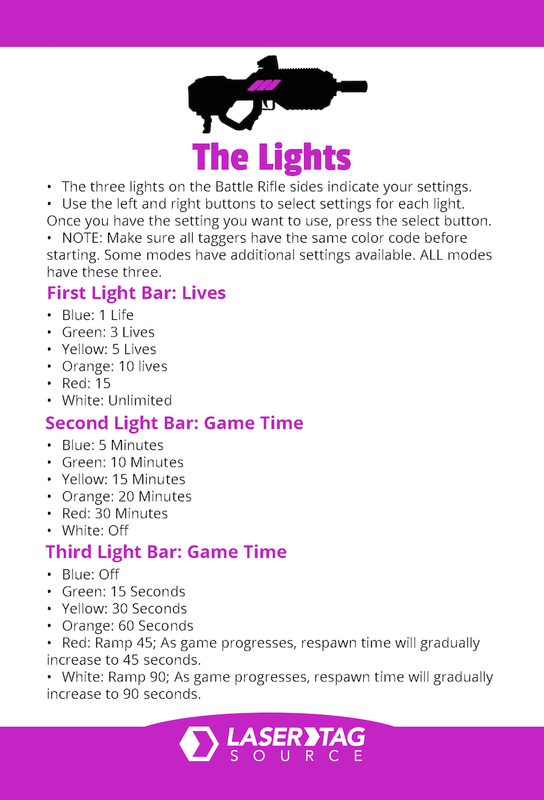 The Battle Rifle is all the action of your favorite video-game in a format that’s better than wrap-around HD, IMAX, or the even Virtual Reality: This action takes place in the ultra high resolution realm of REALITY! 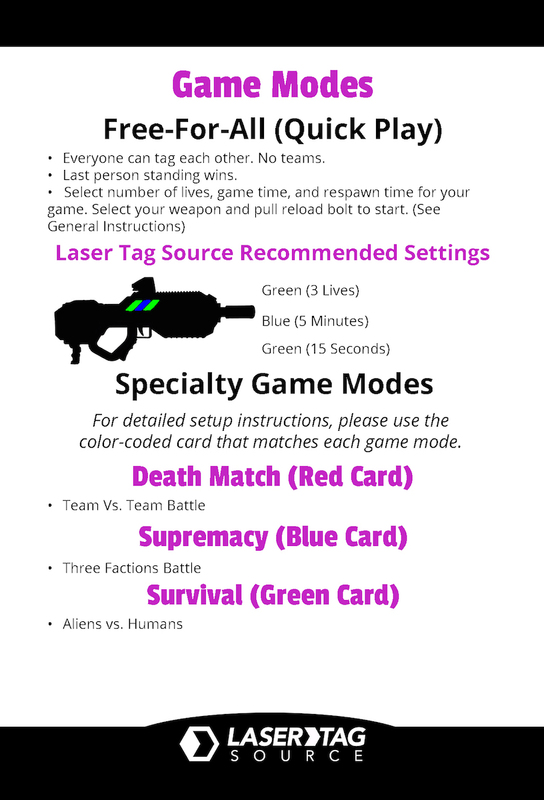 It’s jam-packed with options and features to make your laser tag night mind-meltingly awesome! 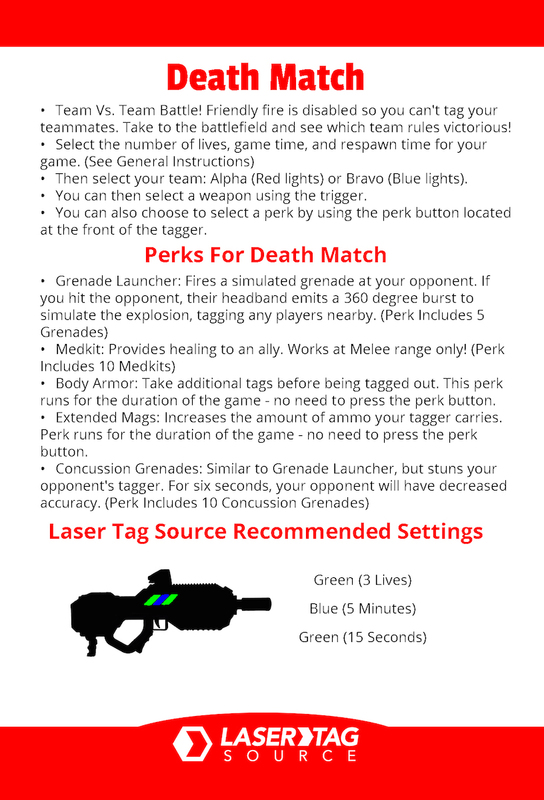 It has loads of game options, loads of weapons options, and even special “perks” like grenade launchers, med-kits, etc that are available on some game modes. 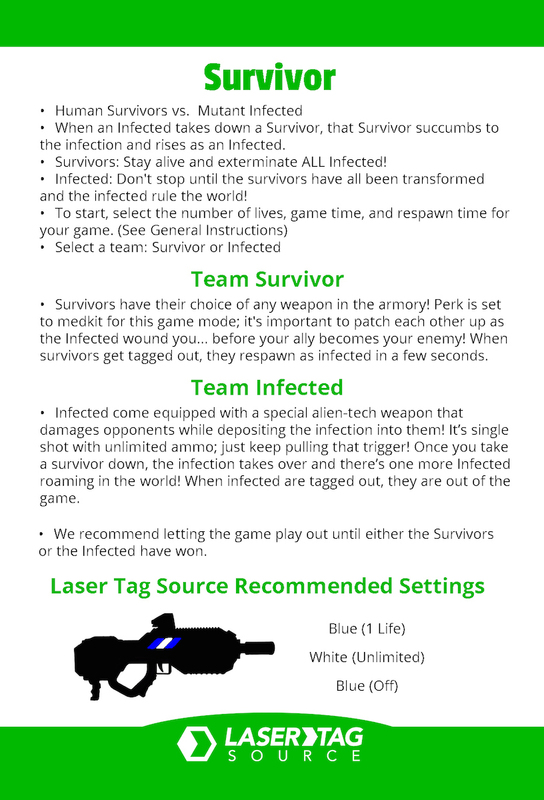 Every tagger comes paired with a one-size-fits-all headband; 360 degrees of sensor coverage surrounding your head and a sensor built into every tagger so sensor coverage is top of the line in the laser tag industry. 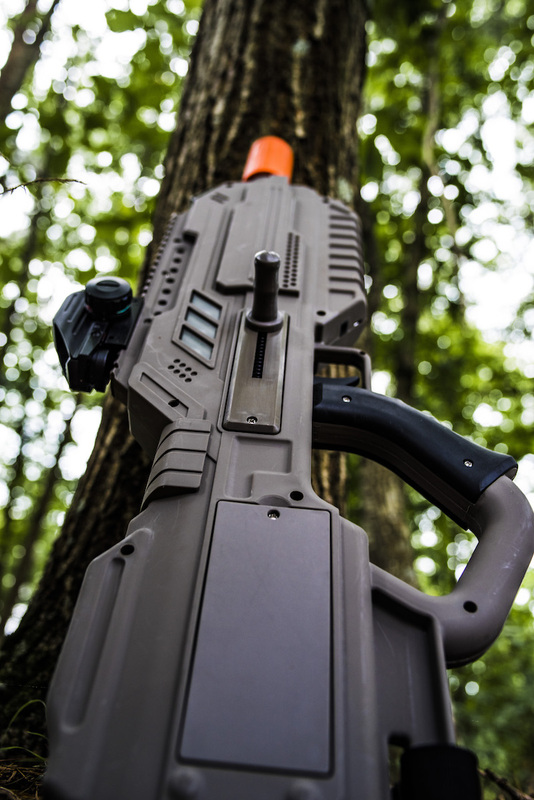 The Battle Rifle is perfect for those looking for a more intense laser tag experience. 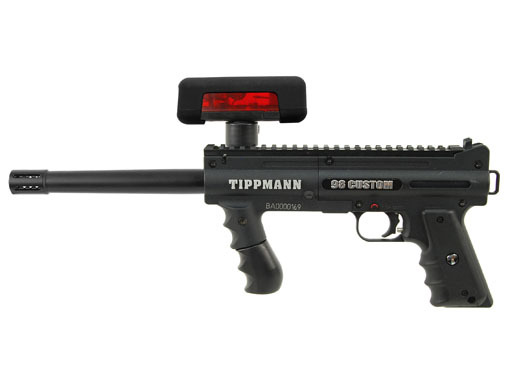 This tagger is larger than any of our other taggers, the LED lights are brighter, and the game modes more plentiful. 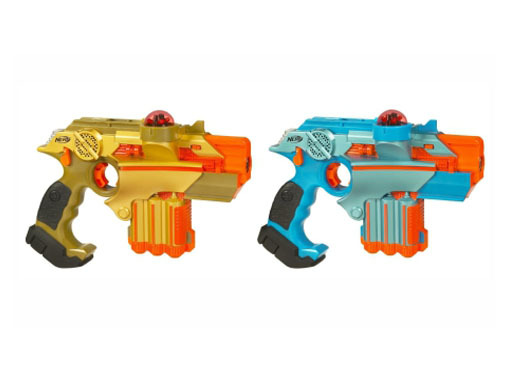 The Battle Rifle is an ideal choice for high-shook or college events, bachelor parties, boy’s nights, lady’s nights, or just any weekend you need an excuse to have a blast! 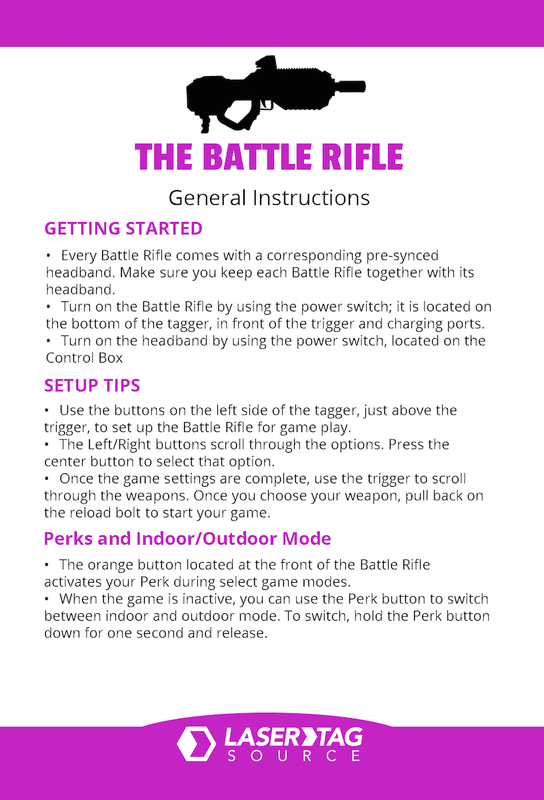 Get your gamer off the couch and outside with the Battle Rifle! 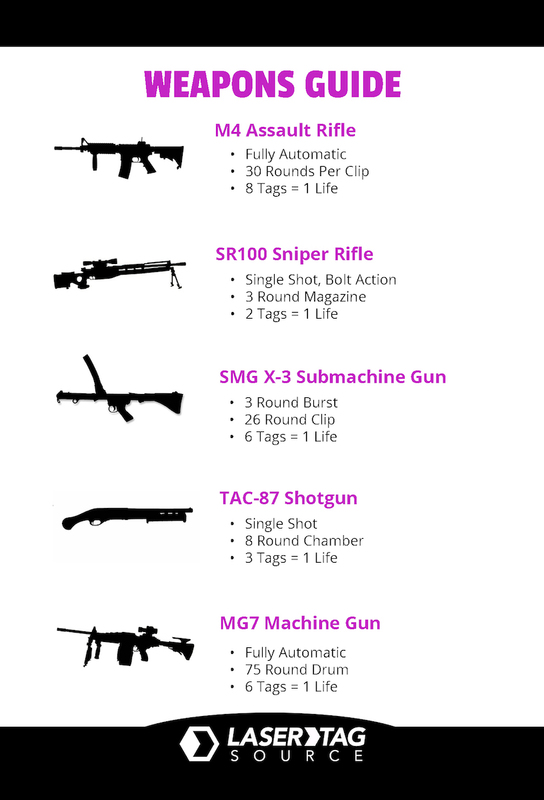 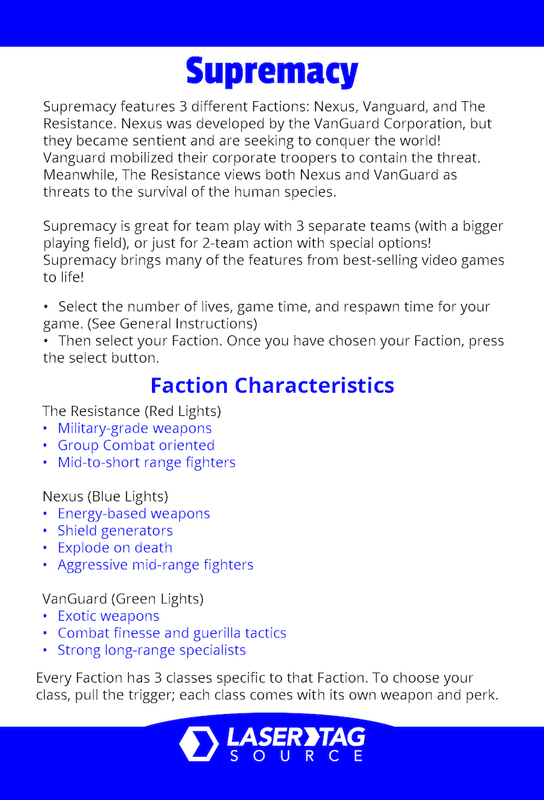 Learn more about the Battle Rifle and different game options. 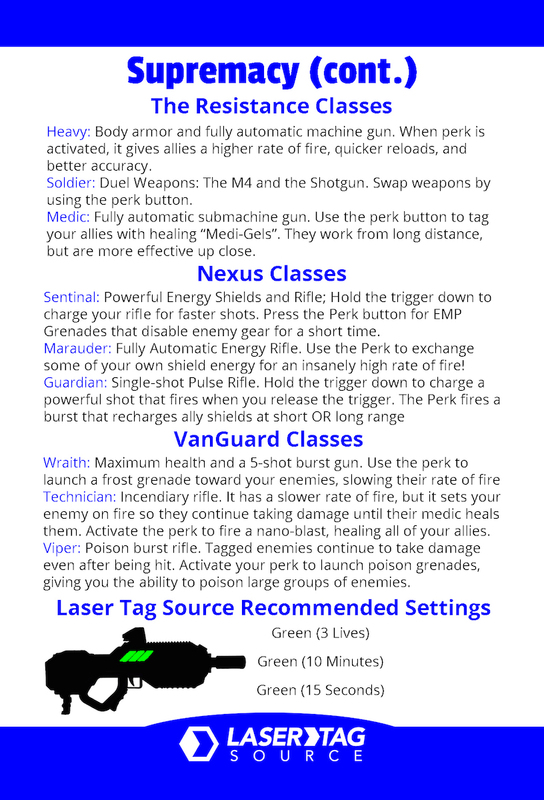 Looking for a tagger that keeps score?